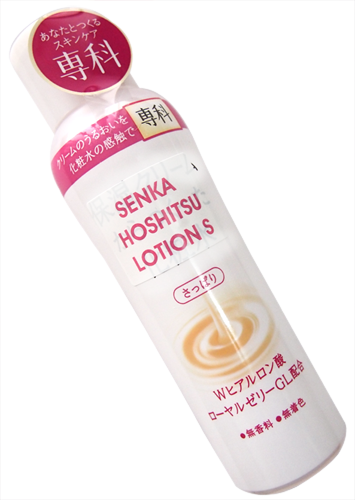 After washing my face with the Senka Perfect Whip, my skin has a big gulp of Senka Hoshitsu Lotion! Mine is the Fresh version which is for normal-oily skin. There is a Moist one for normal-dry skin as well. The clear lotion isn't exactly very watery. It's kinda like a thick-watery-gel to increase it's effectiveness. Hard to explain the unique texture! The lotion is made using a Shiseido technology, the Micro-Moisture Manufacturing process, which shrinks ingredients into micro-sized particles. The Hoshitsu range focuses on providing moisture and contains Double Hyaluronic Acid with Royal Jelly GL. They're fragrance free without artificial colours and promise 24-hour hydration. My skin is already better since I used the Shiseido Aqualabel Special Gel Cream so there isn't a very drastic change in photos this time. You can see the lines lessen with the lotion though. It also aids absorption of other skincare properties so it actually makes your other skincare more effective! 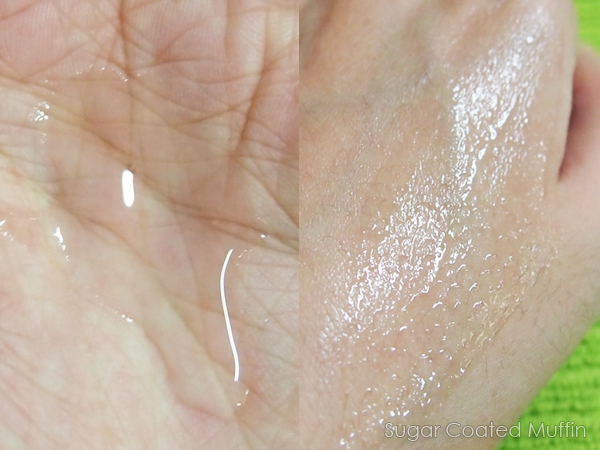 You can apply the lotion using your hands or a cotton pad. I prefer my hands because I can feel how smooth my skin becomes and it's relaxing. TIP : Shiseido products can be used as masks as well! Simply soak cotton pads in the lotion and place on the regions on your face where you need extra moisture. There's also the Senka Whitening Range! It restricts melanin production while preventing spots and freckles. You can check out the entire range of Senka products at Watson's! Ingredients : Water, Dipropylene Glycol, Glycerin, Alcohol, Butylene Glycol, PEG/PPG-14/7, Dimethyl Ether, Methylparaben, Carbomer, Dimethicone, Aminomethyl Propanediol, PEG-60, Hydrogenated Castor Oil, Acrylates/C10-30 Alkyl Acrylate Crosspolymer, Aminopropyl Dimethicone, Disodium EDTA, Sodium Hyaluronate, Royal Jelly Extract, Magnesium Chloride, Calcium Chloride, Sodium Acetylated Hyaluronate. Looks like a nice product (: Thanks for reviewing! I love Shiseido stuff! Gona try this out soon!